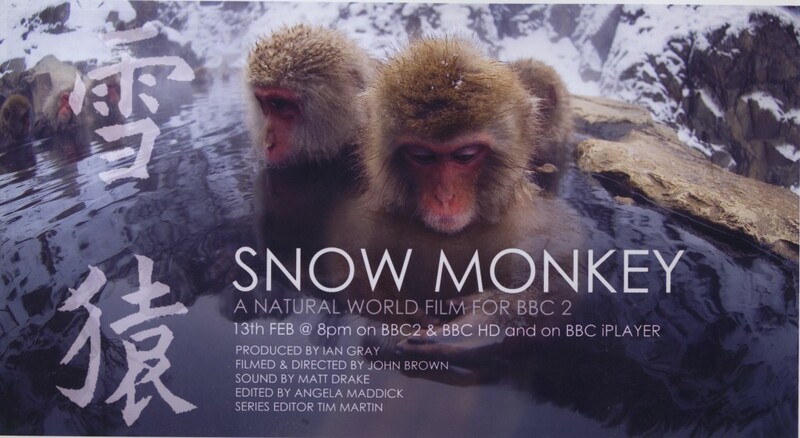 Snow Monkeys is the story of one of the most iconic groups of primates on the planet; the Japanese Macaques which inhabit the mountains of Honshu. 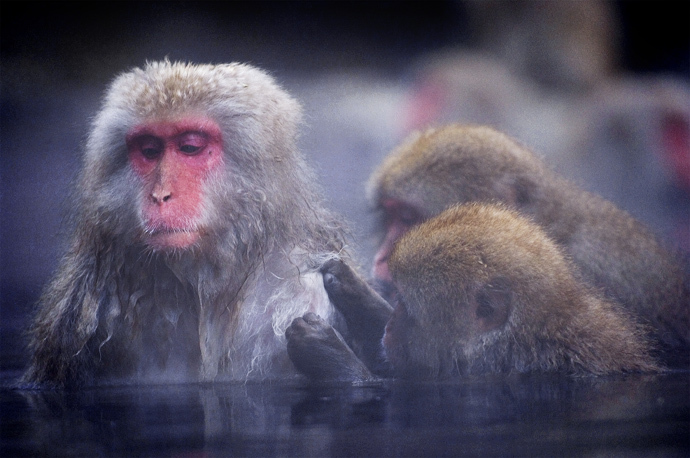 These are the most northerly living non-human primates on earth, and are famous for their winter pass-times of bathing in hot springs and rolling snowballs. But there is much for to these remarkable animals than hot baths. 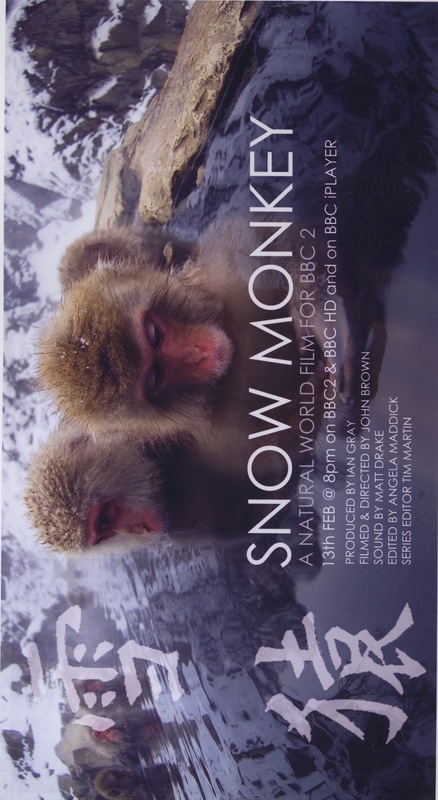 We spent 8 months filming these fantastic animals, focusing on three very different groups. The most famous is the one that spends much of its time bathing in the hot-springs at Jigokudani – it’s a huge group, nearly 300 individuals, and the pressures of celebrity weigh heavy on them. In addition to the provision of their very own hot tubs this group is fed each day to encourage them within camera-range of the hundreds of tourists who visit them each week. They exhibit some wonderful behaviours but the artificially high group size leads to increased aggression within the group. The second group we followed lived on the fringes of wilderness and civilisation – they would spend much of their time in the forested mountains but would mount daring raids into orchards and rice paddies – brining them into conflict with farmers, often with lethal consequences. 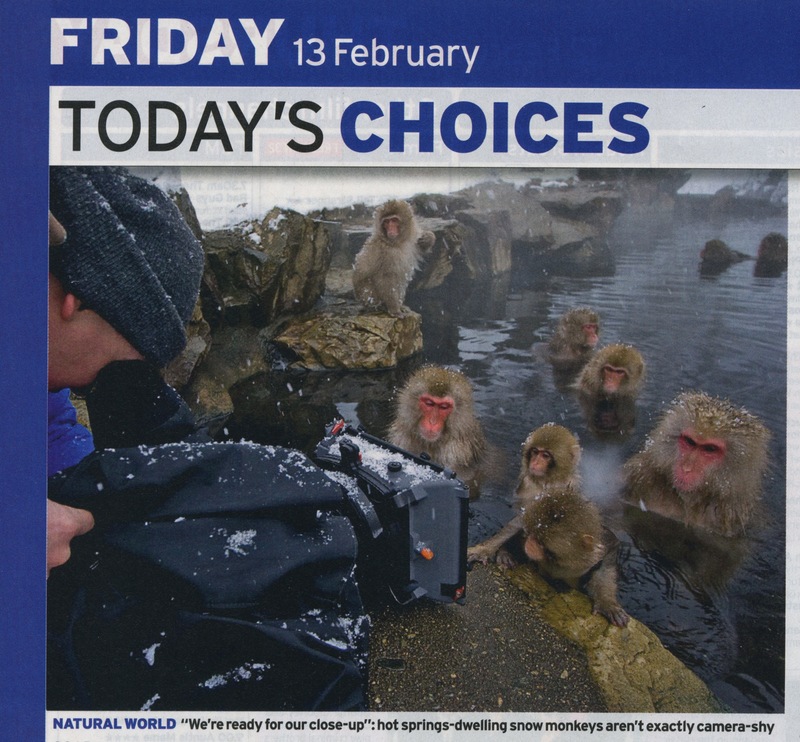 The final group were my favourite – living at an altitude of 200om in the Japanese Alps, these were primates right on the edge. They would endure fantastically cold winters – -40C at night, 4m of snow on the ground, and eek out a living eating nothing but bark and foraged invertebrates. The Kamakochi Highlands they lived in were spellbindingly beautiful and we had unique access to film them duning the winter of 2008. We were helped hugely by Dr Takayo Soma, a wonderful Japanese pirmateologist, and great friend, who endured our endless stupidity without karate chopping us in the windpipes. 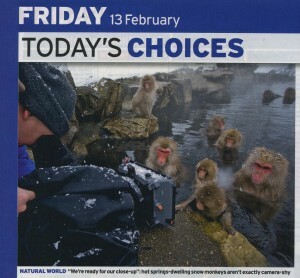 Here is a sequence setting up Kamikochi in the winter, and here is a sequence with Takayo and the macaques.